One of the best things about owning a Certified Pre-Owned vehicle is that you’ll know what your vehicle went through. That’s because we’ll provide you with a free CARFAX® Vehicle History Report to keep you in the know. 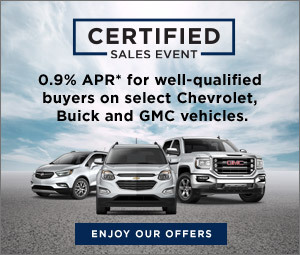 If you find a Certified Pre-Owned vehicle in the dealer's inventory or our inventory, you can ask the dealer or look up its service history and previous ownership records, so you can make sure the vehicle you purchase has a clean record. CARFAX®, the most trusted name in Vehicle History Reports, is our preferred provider.